Malware credential attacks are on the rise. Nearly one million new malware threats are released every day , with attacks growing in number each year. Bad actors are hijacking trusted brands, damaging brand reputation, weakening customer relationships and significantly affecting the business’s top and bottom line. MarkMonitor works with some of the world’s most visible brands to develop innovative, comprehensive solutions to combat the widening threat of brand-associated malware attacks. Nearly a million new malware threats are released every day1, with attacks growing in number each year. Malware creators are honing their social engineering tactics to better impersonate legitimate brands and dupe unsuspecting consumers into downloading malicious code designed to harvest private data or infiltrate an organization’s network. The danger goes far beyond the integrity of corporate systems and data – brand-associated malware can also tarnish brand reputation in the increasingly vital email channel, diminishing customer trust in online transactions and raising customer support costs to investigate and rectify the damage to consumers. Safeguarding your brand against malware requires a swift, proactive approach. After investing heavily in building a corporate website and mobile app channel, it is imperative to keep those digital channels secure. If one of customer accidently accesses a malicious site, that customer will likely never trust that brand’s online channel again. Most likely, the victim will no longer be a customer of that brand, and switch over to a competitor. There are significant costs to consider after fraudulent attacks, including incident fire-fighting fees and increased customer support costs to rectify the damage. MarkMonitor helps customers protect their customers from falling victim to malware attacks. Fraud can truly damage a brand’s reputation and impact the business’s top and bottom line. The MarkMonitor AntiMalware solution utilizes unmatched domain and brand protection expertise to provide reputable brands the best detection, analysis and mitigation across multiple digital channels. 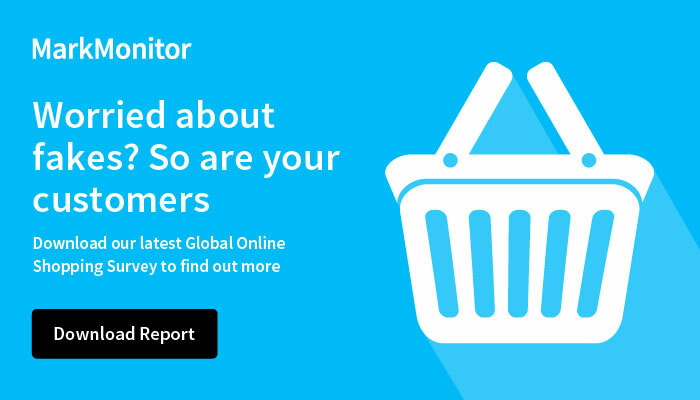 For the greatest impact and results, the MarkMonitor solution focuses on brand-associated malware, which is visibly tied to specific brands, to ensure that email channels are free from potential attacks. Comprehensive solution: Comprehensive detection from the widest range of data sources including industry groups, ISPs, security companies, customer feeds, honeypots and proprietary analytical tools to detect malware targeting customers’ brands. Complete Mitigation Coverage: Malware mitigation includes multiple types of communication points, including distribution sites, drop sites, command and control. Additionally, complete coverages includes shutdowns of any type of phishing attack, vishing, smishing, email accounts and other fraud activities. Fast Mitigation Strategy: MarkMonitor shuts down multiple communication points used to run the attack, including malware payload distribution points, command and control sites, and drop sites where harvested data is sent and stored. MarkMonitor disables each attack so that it is no longer accessing the network and no longer a threat to other organizations. Fraudcasting: Immediate, widespread blocking of access to phishing sites, emails containing phishing sites, malware containing emails and malware communication points by alerting ISPs, email providers and security vendors. API Access: MarkMonitor offers the industry’s only portal API to enable integration with customers’ security event management products. Reporting: Monthly trend report and a personalized weekly phishing and malware incident report with SOC action steps plus 24x7 Web portal access. Malware Analysis: Malware analysis based on partnerships with over 50 anti-virus and malware vendors provides early detection and detailed analysis of malware executables. Exceptional Service: MarkMonitor provides customers with access to its 24x7x365 Security Operations Center (SOC). In addition, each customer is assigned a Client Services Manager who ensures that the customer’s needs are being continuously met and helps implement best practices for the most effective results. Only MarkMonitor combines powerful detection technology, comprehensive mitigation strategy and unmatched industry expertise to protect you and your valued customers from the dangers of malware attacks. MarkMonitor AntiMalware services ensure that the most visible channel conveying your brand – the email marketing channel – is free from malware attacks to help safeguard your marketing messages and brand reputation. With over a decade of industry expertise, customers will have access to the 24x7x365 Security Operations Center (SOC) and will also be assigned a Client Services Manager who will help ensure that the customer’s needs are being continuously met and help implement best practices for the most effective results. Comprehensive detection from the widest range of data sources including industry groups, ISPs, security companies, customer feeds, honeypots and proprietary analytical tools to detect malware targeting customers’ brands.